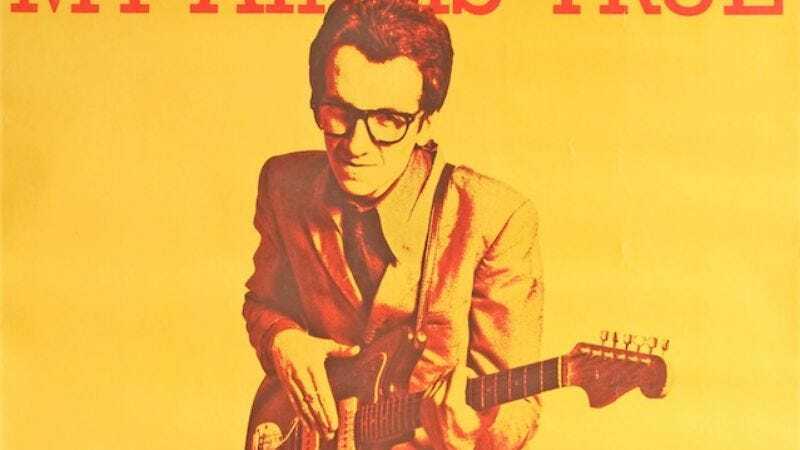 Elvis Costello’s debut album is so ridiculously assured and brilliantly written that it’s almost hard to believe it was his first—and that he was only 22 when he wrote and recorded most of it. Side one, track five, the incomparable “Alison,” is a slow-burning bit of jealous venom, with Costello lamenting the fact that his girl let a friend of his “take off your party dress.” (To all the people who know the song and now have the melody of that line embedded in their heads, you’re welcome.) Costello, backed by a band that would later become Huey Lewis’ News, delivers one of the best vocal performances of his career—which has stretched an incredible 30-plus years at this point—with a noodly, jazzy guitar and simple drum beat behind it. It wasn’t to be Costello’s biggest hit—“Watching The Detectives” came next and stole the thunder—but it’s undoubtedly one of his most enduring songs: A cover by Linda Ronstadt released just a year after Costello’s version was a moderate hit, and dozens of others have paid homage to its genius simplicity. But none of those touch the original. It’s bitter, beautiful, and filled with the pure nervous energy only a debut album can really deliver. He’s written and recorded some incredible songs since, but few even come close to “Alison,” and none top it.